NickLannon.com: Recovering the Church's "Mission"
What are we doing here? What is our mission? I’ve been thinking about this question a lot this week; it’s come up in a couple of discussions. First, I heard a story about a member of the clergy in another diocese. 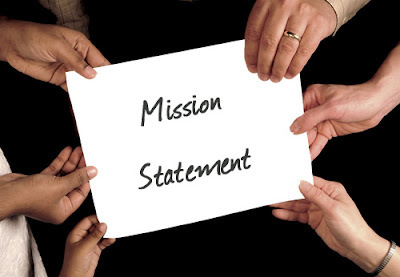 When the Bishop came to visit the parish, he asked them to identify their mission. In other words, what were they doing there? Unable to answer, the parish decided to start a soup kitchen. That would be their mission. The question of mission came up again as our parish began our Bible study on Paul’s letter to the Romans. In just the second verse of the letter, Paul describes himself as an apostle “set apart for the Gospel,” clarifying: “the Gospel regarding his Son.” For Paul, mission is inextricably linked to Jesus Christ, and specifically, the Gospel (the Good News) about him. Soup kitchens are wonderful. The many things that the church does in that vein, from food pantries and United Thank Offerings to hunger walks and Habitat for Humanity, are great examples of Christian service, but they are not, ultimately, why we are here. In other words, our mission must be, as Paul asserts, the proclamation of the Gospel, and those acts of service, laudable as they are, are results of the Gospel, not the Gospel itself. The Good News about Jesus Christ is that he came from heaven to earth to save sinful humanity and to reconcile us to God. We are an outpost, a giant set of speakers, for this announcement. Everything we do is in service of it; indeed, we admit that “we love because he first loved us” (1 John 4:19). So know that as we go about our life in the church, we will continue to do the things that mark us as a loving community: Food pantries, United Thank Offerings, hunger walks, Habitat for Humanity, and all the rest. But they will not be our mission. Our mission will always be to proclaim the Goood News about Jesus Christ to the world.